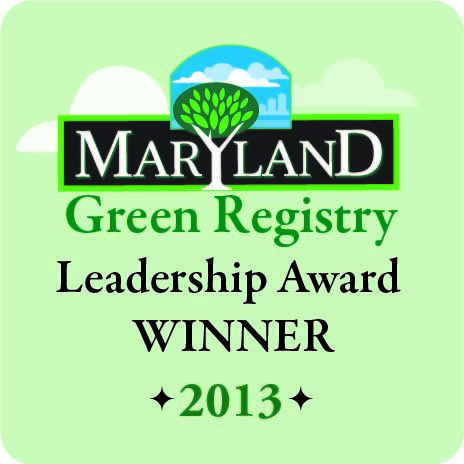 La Prima Food Group and Catering by Seasons recently received the 2013 Maryland Green Leadership Award. This prestigious award is a validation of our ongoing efforts to create a culture of sustainability throughout our company. Gardens and Partner Farms: Each week our kitchens include farm fresh, organically grown produce in all meals. Catering by Seasons specializes in farm to table celebrations with produce, fruit, meats, dairy and flowers sourced locally from our sustainable partner farms. Energy Independence: La Prima’s Maryland kitchens operate using renewable Wind energy credits from Clean Currents. Through the use of wind power, we are able to reduce dependence on coal and other non-renewables. Environmental education: One of the most important parts of La Prima’s Green Leadership is proactive education of staff, clients and the community. Farm ‘field trips’, garden training sessions, company-wide environmental statements and kitchen evaluations allow us to create a “culture of sustainability” among employees. Staff are also able to relay useful information to clients, family and the surrounding community, truly bringing their work home and taking the company’s green efforts to heart. We look forward to continuously improving our environmental efforts in the years to come.